Kidarangai and Narthangai (Citron)are two tasty citrus fruits and the south Indian people would love to have these pickles as part of their meal. Kidarangai is like narthangai But smaller in size. 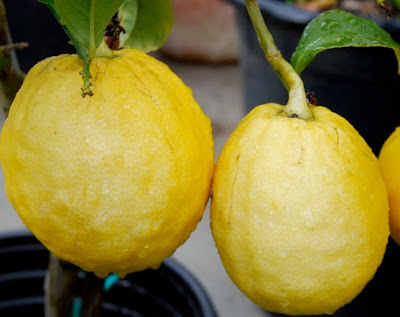 The fruit is lemon-like with a shape that varies from oblong to oval, and the various shapes can occur in the same branch. The peel is yellow when fully ripe with a texture that can be smooth or bumpy, very thick and fleshy. The pulp color varies from pale-yellow to greenish and is divided into as many as 20 segments, not very juicy, containing many seeds. Medium to large sized bumpy yellow skinned citrus having a very acidic flavor. Primarily the skin is used, and the fruit plays a role in the Jewish Feast of the Tabernacles. The origin of the citron is unknown, but it was the first cultivated citrus fruit, with records dating back to 4000 B.C. It was a common fruit in the Mediterranean region, Through all this there is almost no mention of India, which is a bit strange. Because India has fair claim to being where citrus fruits came from, as seen in how the Sanskrit name of narang (possibly from an earlier Dravidian term) lead to the Spanish naranja, Italian arancio and French and English orange. Current taxonomic thinking suggests that most citrus fruits descend from just a few species: limes (citrus aurantifolia), mandarins (citrus reticulata), citrons (citrus medica) and pummelos (citrus grandis). 1. Wash kidarangai and dry cover a cloth to remove excess moisture. Cut into small pieces. 3. Put it in a dry Jar. Keep it closed. Shake well daily once For 4, 5 days, both morning & evening, stir it thoroughly. 4. Wait till it is very soft before making hot pickle. 5.. After water oozes out from the kidarangai Top this with the red chilly powder as a small heap and stir well. 6. Dry fry the fenugreek seeds in medium flame for a few seconds until they start to crackle and then turn off the heat and powder it.Then Add fenugreek powder and hing powder in the pickle. 7. Heat ½ cup gingelly oil & temper 1 tsp mustard seeds and Cool. Now add this oil to the pickle. Mix well thouroughly. Serve and enjoy with rice. Note: Raw pickles need more oil.This will keep pickle long time. Since Lime & citron are different in size, quantity of salt chillies should be adjusted . Remove seed swhen cutting the fruit the pickle should keep long time. I love love love pickles :D I eat them all the time! Narthangai ...the word itself makes me drooling:) Kidarangai oorkai looks delicious. My mom too makes it like this exactly. This method is different from the Madras version, but I always appreciate ur method for less oil consumption. Notes on protecting the pickle will be of great help. Had this spicy and mouthwatering pickle quite a long back...looks spicy!! Came here taking Priya's lead on facebook. You've got an awesome collection.I love naarthangai aka kidarangai picked,pachchidied or ularthinadhu. woo this looks soo spicy and tasty...a small treat for u dear..collect it..